I'm always happy to hear about companies that are 100% vegan. One such company is Malibu C, who offers both hair and skin care products. 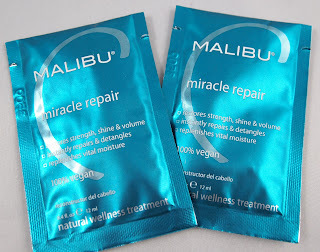 I recently had the chance to test out one of their hair care products: Malibu C Miracle Repair. 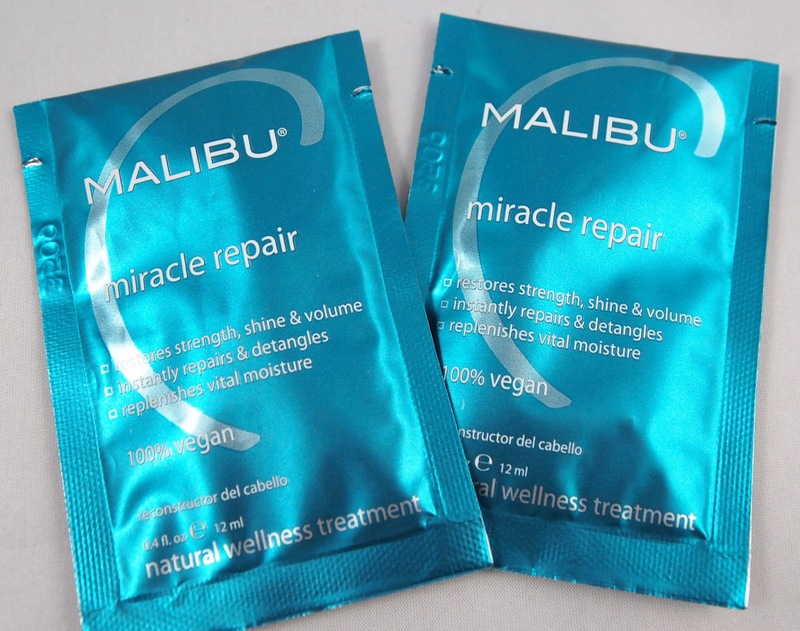 Malibu C Miracle Repair is an extremely effective conditioning treatment. My long, thick hair often gets tangly, and this treatment easily detangled. On top of that, my hair was left feeling soft and shiny. The product appears to be formulated with great care, as quinoa and rice protein show up on the ingredient list, clearly gluten-free alternatives to wheat proteins. I was surprised to see this product rated around a 5 on EWG's Skin Deep database, though this score seems to be weighed down by the inclusion of fragrance. However, six other ingredients showed up in the 3-4 hazard range, so it may be worth a search for more gentle alternatives. Overall, I was really happy with the performance of the product. I was glad to see that it was both vegan and gluten-free while avoiding many harsh chemicals. I'd recommend this product if you're looking for a high-quality vegan conditioning treatment.